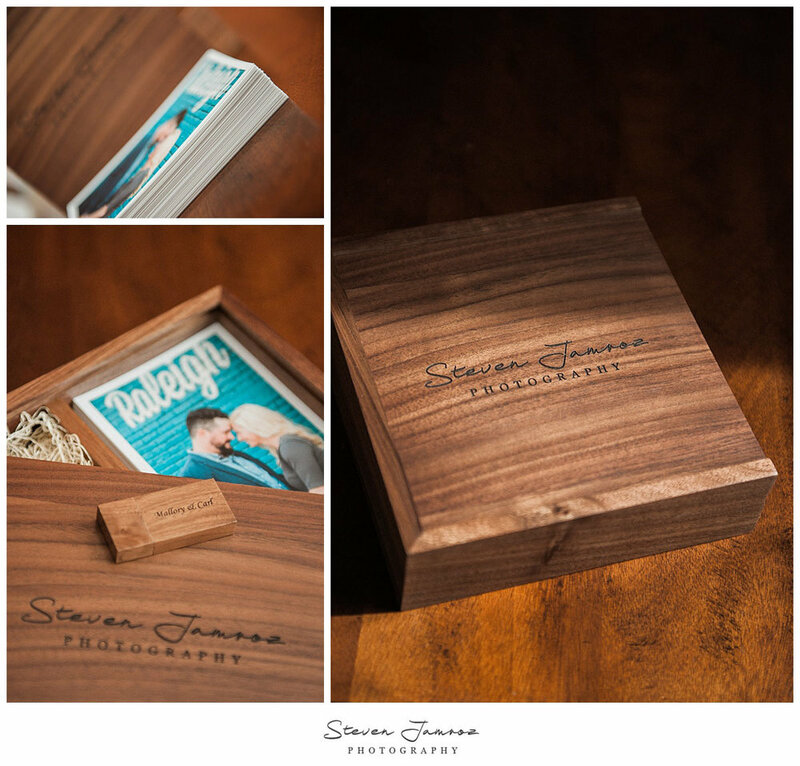 Why should you print your wedding and engagement photos? 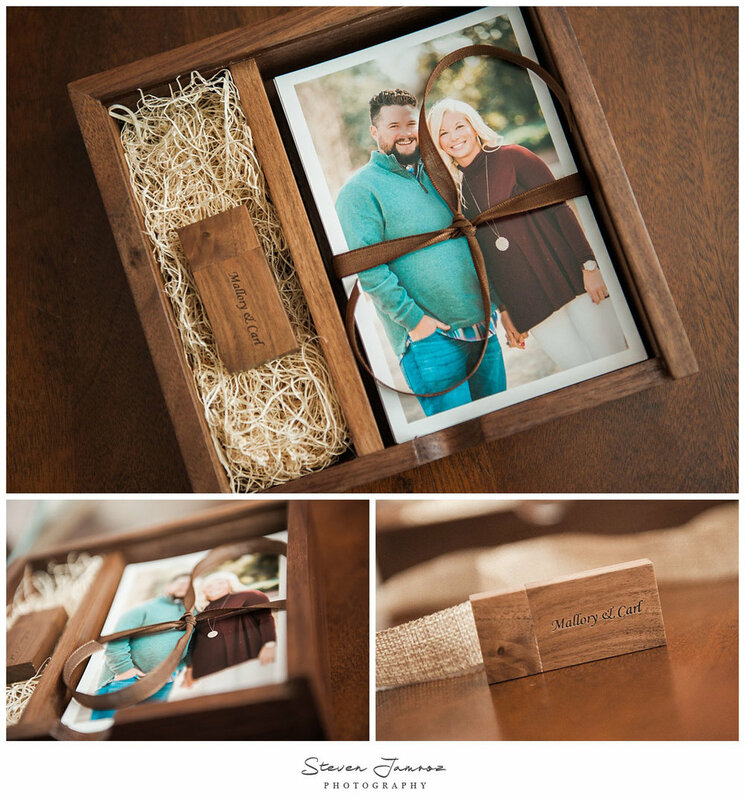 Engagement Photo Prints Preserve Your Memories. A photo that has been printed onto paper can be very powerful. And it can also last a lifetime. Unfortunately, in today’s digital photography era, more photos are being created than ever before yet most are never printed and live quietly in the dark sectors on hard drive of a computer. Tucked away, existing only in ones and zeros, these photos will never be enjoyed to the fullest. Photos should spark good memories, emotions and provide the viewer with the window to see into what was happening when the image was created. That’s why I offer prints with all of my photo packages in addition to the digital files. There is no single best format or style for prints. In fact, there are a wide-range of options to suit any client. The most important factor is to get the image onto archival paper where the record can be passed along for generations. Images from Mallory and Carl’s NC State and downtown Raleigh engagement session were commemorated with archival quality color prints with a luster coating. 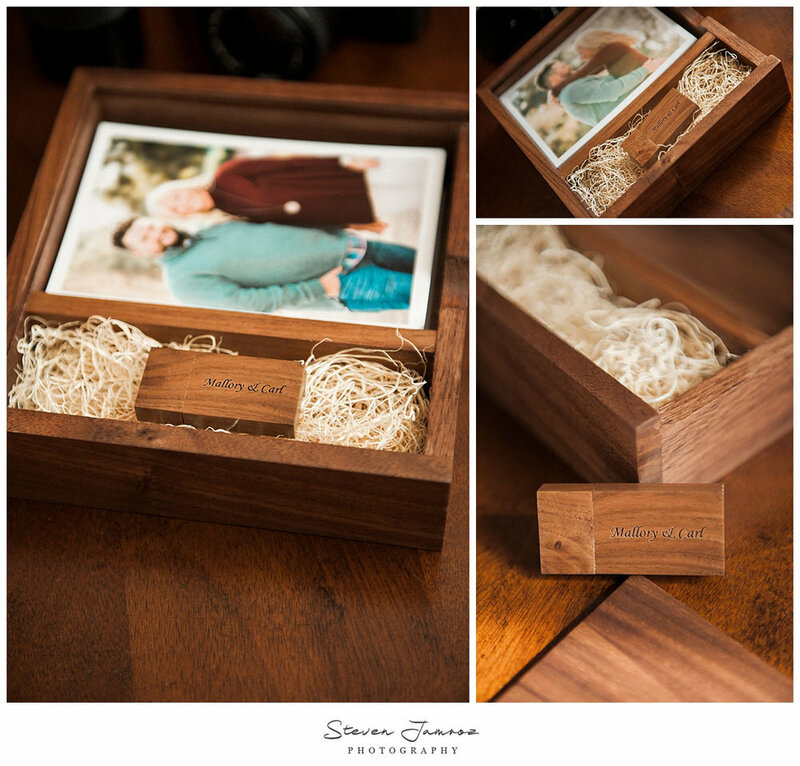 These keepsakes were delivered in a beautiful, elegant mahogany wood box with matching USB drive complete with images from the full session. This keepsake can be placed on a table, or other prominent location, in their home where they will be held and enjoyed by family and friends for years to come. Sharing the images in a format other than digital can be very satisfying and it will help preserve those special moments. 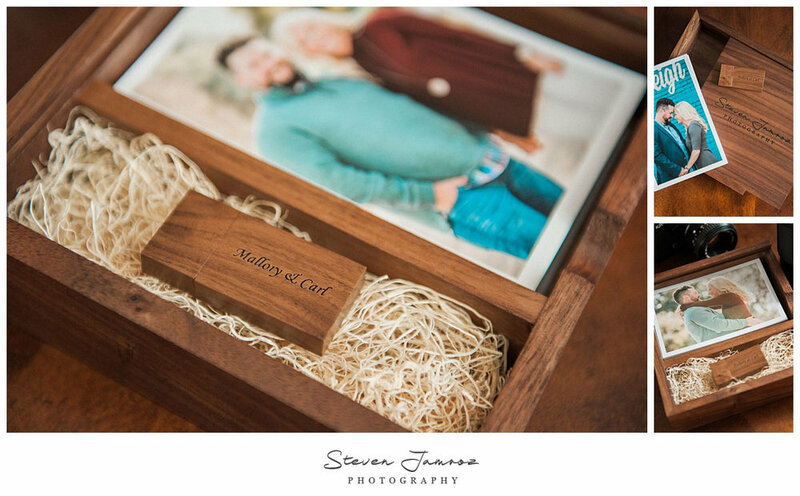 The photos below will allow you to experience what it really means to give the gift of photography. If you would like to create lasting memories for your family, please contact me to set up a session and to discuss your vision. I look forward to starting a conversation soon. Enjoy. Newer PostPersonal work from the air with the DJI Phantom 3 Pro Drone.